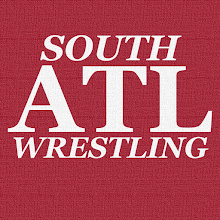 South Atlanta Wrestling: Brock Lesnar To Reign Until WrestleMania 35? Brock Lesnar To Reign Until WrestleMania 35? There was a rumor floating around on Twitter this weekend that WWE intends to have Brock Lesnar hold the Universal Title until WrestleMania 35. My first reaction to this was: WHY?!?!?!? My second of course was, "Where did this 'report' come from?" and all that. Let's focus on that first reaction though as we know a lot of stuff that gets floated on social media is nonsense and/or wishful thinking. I legitimately do not see any benefit in dragging this title reign out any further. Lesnar as champion worked for me when I thought the end game was Roman Reigns toppling him at WrestleMania 34. Once that was off the table, and it didn't end at Greatest Royal Rumble I have almost completely lost interest in it. As we kicked this around on Wrestling Twitter the question came up, "Who should even beat Lesnar at this point?" My response was: BRAUN, Seth Rollins, or Daniel Bryan. As a Roman Reigns fan I'd still be onboard with that too, but I discounted him on that list because of the recent failures at Mania 34, and GRR (even though he is portrayed as the Uncrowned Universal Champion on WWE TV). As I noted the other day, I think Seth Rollins might be the right guy now to topple The Beast Incarnate and take the Universal Title. Of course that is really just part of my idea to get Roman Reigns 100% fully on the heel side in storyline as well as crowd reaction. Rollins is white hot right now, and I could see him being a viable option as Universal Champion. I have no desire to hold off on that moment until WrestleMania 35 though. Do it at SummerSlam. Get that belt off Lesnar, and back on a full-time talent. All that being said I was a touch surprised by how many people enjoy the idea of Lesnar as champion. It's for all the reasons you'd imagine...he gives the title credibility, the champion not being around makes it feel special, and long reigns are good. That type of explanation. I respect those takes and the people who shared them, but I disagree. Nothing against Lesnar who I still see value in as a special attraction, but it's time for a change of pace with that Universal Title. It's time to end this Brock Lesnar reign as Universal Champion. It's time to see that belt back on Raw.